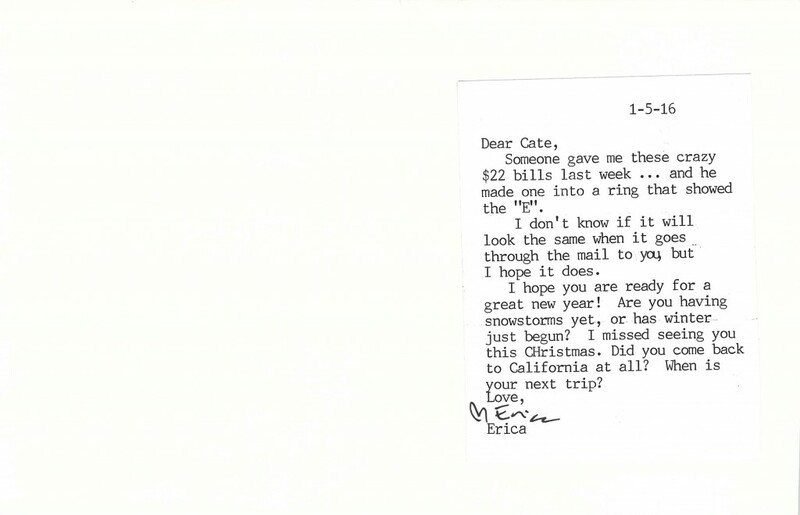 I’ve been so preoccupied with the holidays, then our vacation and sadly, the death of Vin’s mother, that I have fallen down on writing my pen-pal Cate. 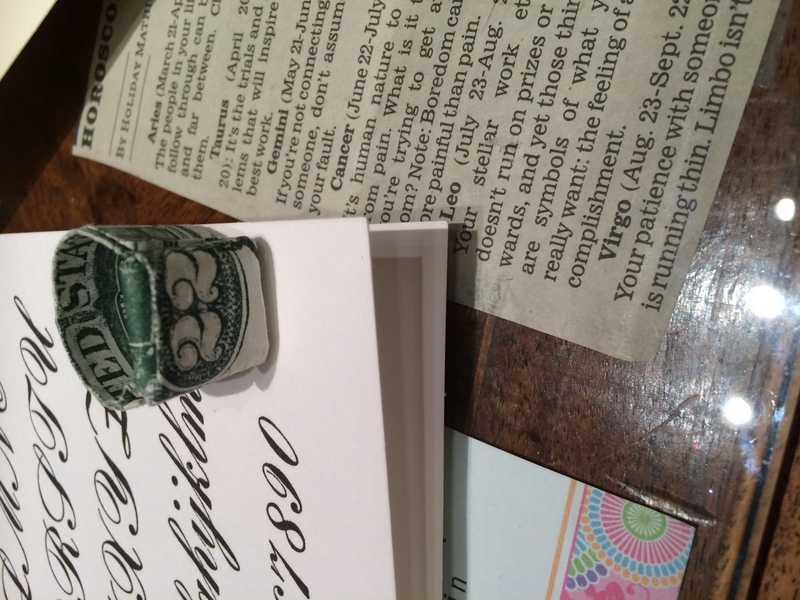 I sent her a few $22 bills that a funeral-crasher gave me last week. One he had folded into a ring with the “E” facing upwards. I figured since Cate likes paper-folding, she might be inspired to try it herself. Or not. It’s really just a flimsy excuse to reach out and say “hi” — to my favorite little penpal.